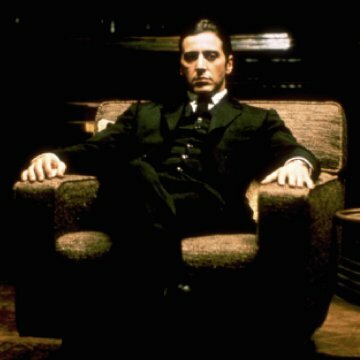 As of 2010, Robert De Niro is one of only five actors (with Sophia Loren, Roberto Benigni, Benicio Del Toro and Marion Cotillard), to win an Academy Award for a role primarily in a language other than English, since almost all of his dialogue is in Italian. 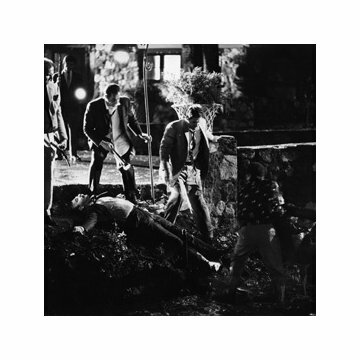 Crew or equipment visible: When Vito is driving and Fanucci hops onto the car, another car passes between the camera and Vito's car - Coppola and the camera can be seen reflected in the car's window. 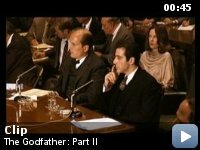 This movie is way to be good to be labelled a sequel to The Godfather . Rather it is more of a companion piece to the original and the two perfectly compliment each other . 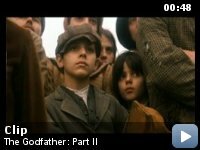 IT is both a sequel and prequel showing the rise of the young vito and moral decline of Micheal . 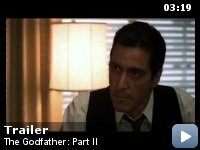 Both characters are brought to life with uncanny ability by Robert DeNiro and Al Pacino . To say that these two are good actors is like saying that a nuclear bomb makes a loud noise and in this movie they prove why they are at the top of their respective crafts . 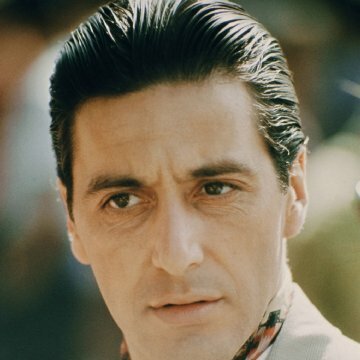 Al Pacino is the standout in the ensemble cast and its amazing how his eyes have changed from the first part . 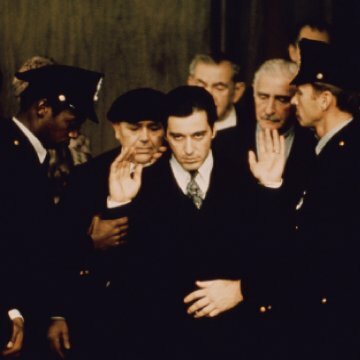 They are now cold , ruthless and unemotional and betray the price which Micheal Corleone has paid for power . 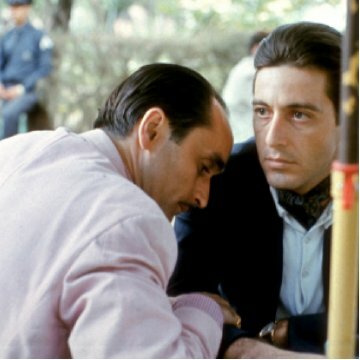 Watch this movie and learn why it is the greatest gangster film of all time.